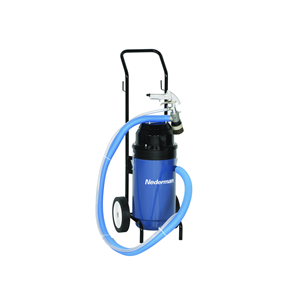 Envirox offers Nederman air-driven sandblasters that offer superior productivity, suction power and separation efficiency. 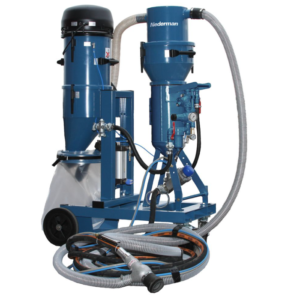 Nederman air-driven abrasive sandblasters provide clean and safe sandblasting and media recycling. Our sandblasters offer a completely dust-free process where the surrounding area is not exposed to flying blasting media. Sandblasting is a highly-effective way of removing rust, old paint, welding scale, etc. and replaces mechanical or chemical cleaning. Air-driven sandblasters are mobile and can be easily moved for use indoors, outdoors and in confined spaces where conventional blasting is not permitted. 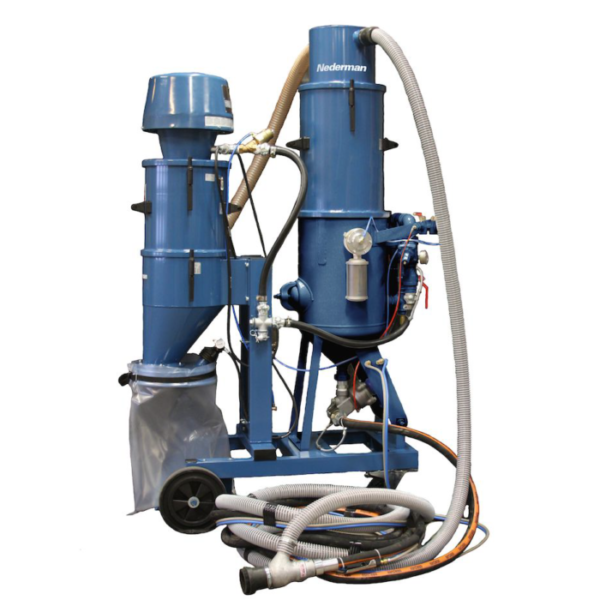 Air-driven sandblasters also offer economical advantages to your operation as the blasting agent is automatically drawn back into the unit, where it is cleaned and recycled. In addition, our sandblasters do not interrupt operations (less refilling of blasting agents) and workstations do not have to be cleaned after blasting. Air-driven sandblasters require a compressor output of 2 to 2.5 m³ / min in addition to the consumption required for blasting.